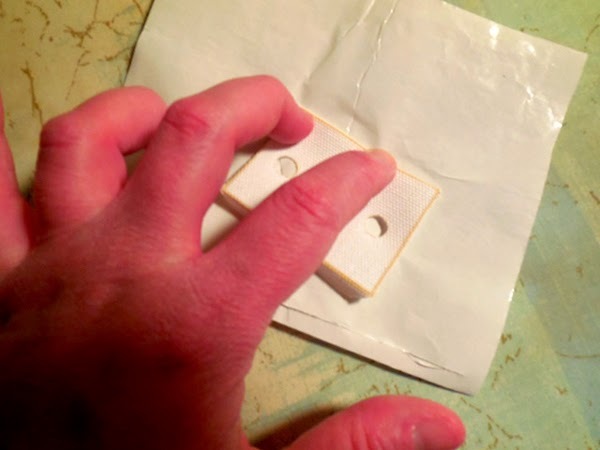 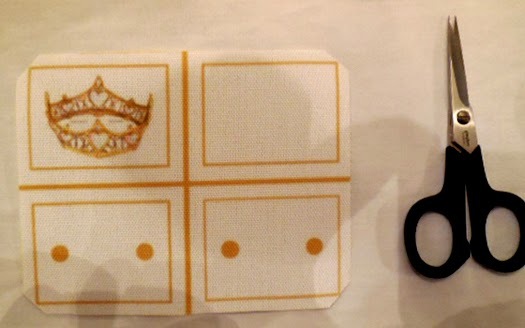 This tutorial shows you how to take a $5, 9" x 9" swatch of fabric now available to purchase on zazzle.com and make a washable, sewn, fashion brooch pin, with a removable stainless steel, bar style, 1 3/4" long pin back. 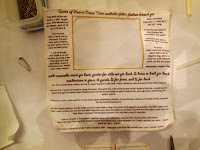 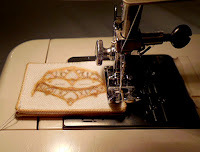 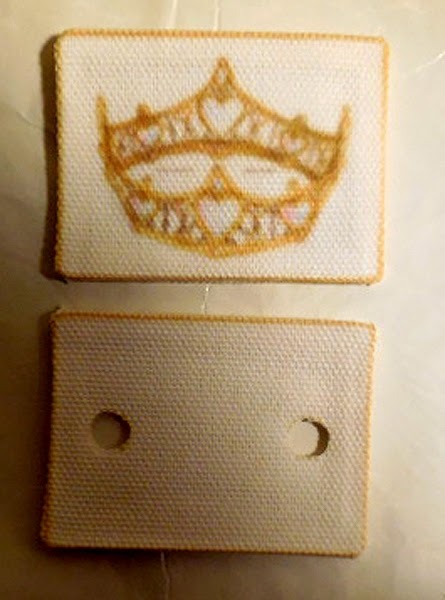 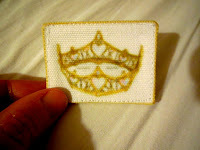 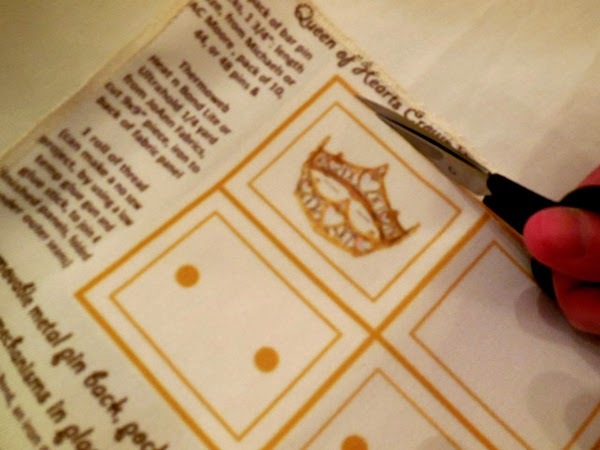 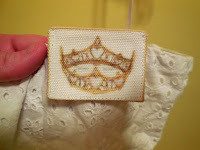 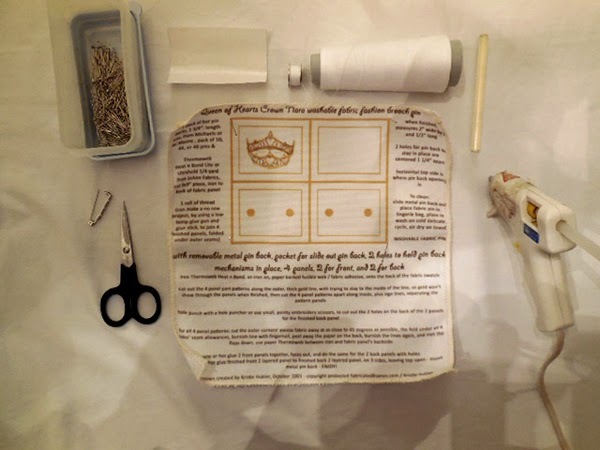 The video tutorial for making the pin is on youtube at https://www.youtube.com/watch?v=VFmFlabbAU8 showing how to use zazzle.com fabric swatch, with the Queen of Hearts gold crown tiara, to create the fashion brooch pin. 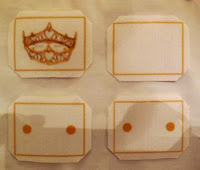 I can get 4 COMPLETE sets of brooches from the swatch. 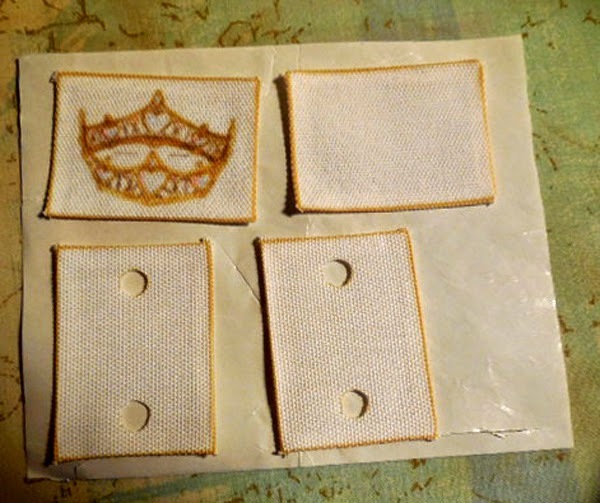 I can get also get 12 brooch panel fronts, including seam allowances out of a swatch, and use a 1/4 yard of solid, coordinating fabric for the remaining 3 back panels for the 12 brooches -that's just amazing! 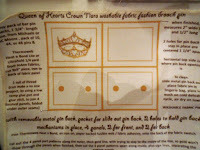 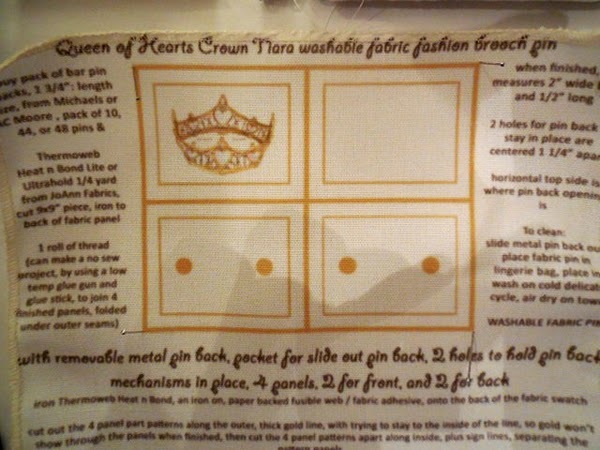 On the swatch available at http://www.zazzle.com/queen_gold_crown_tiara_brooch_sewing_pattern_fabric-256049094920845486 , you get the list of extra supplies and tools that you need to buy, plus instructions, printed ON the fabric swatch! 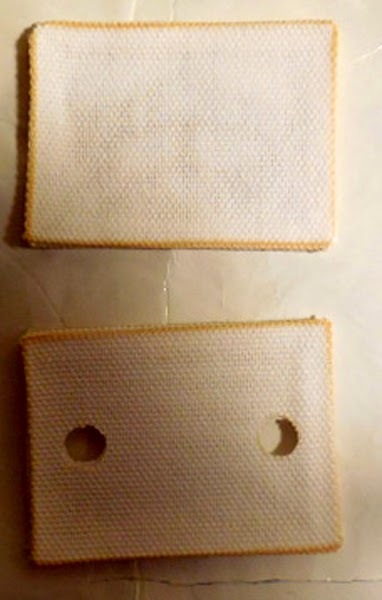 When done, the finished front and finished back panels make a pocket for the slide out pin back. 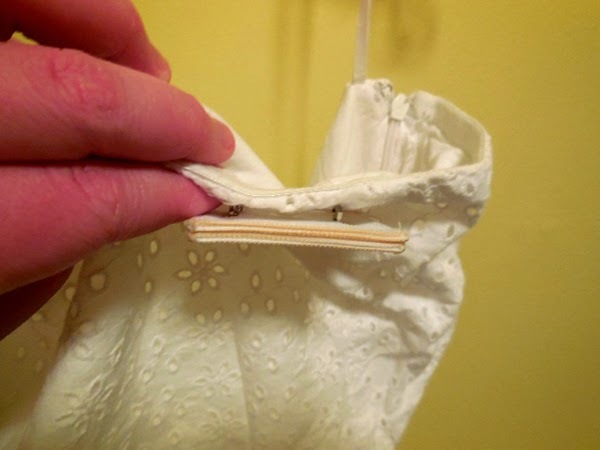 You will leave an opening at the top for the removable pin, so you'd only sew or glue the 3 other sides, the 2 vertical sides and bottom. 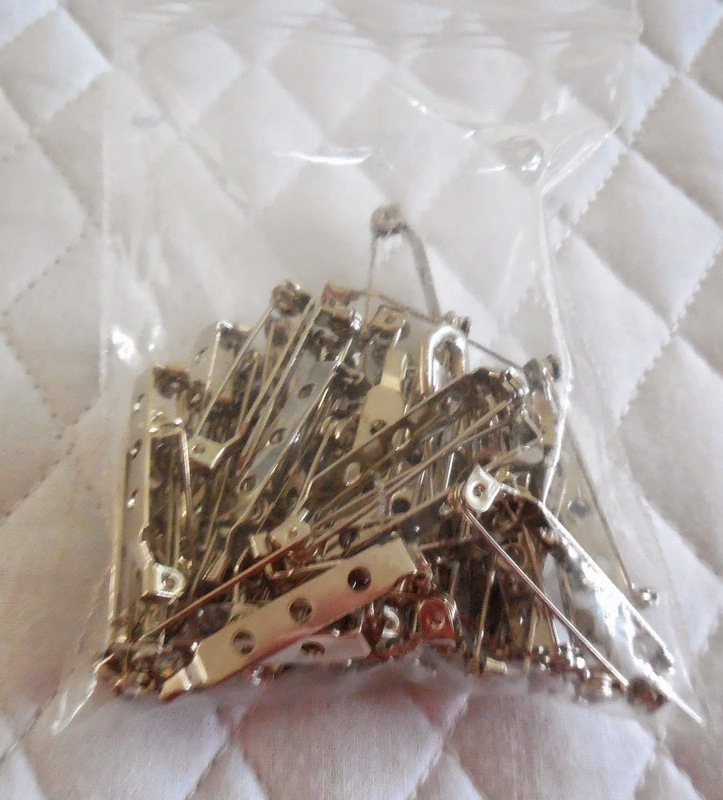 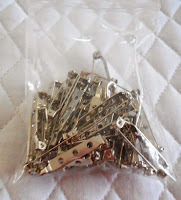 1 3/4" stainless steel bar style pin back - found in packs of 10, 44, 48 for $3 or $4, use a store coupon at JoAnn Fabrics, Michaels, or AC Moore - costs as little as $0.08 a pin! 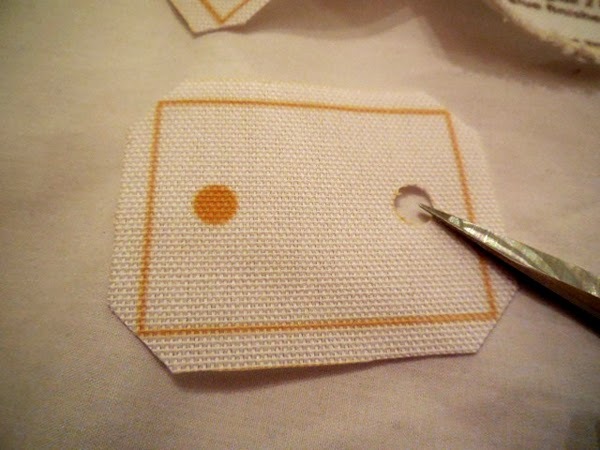 Now, this polyester poplin, it's like needlepoint fabric, you can see through it a bit, same for the Zazzle combed cotton - YET it is thicker and durable than the thinner cottons out there. 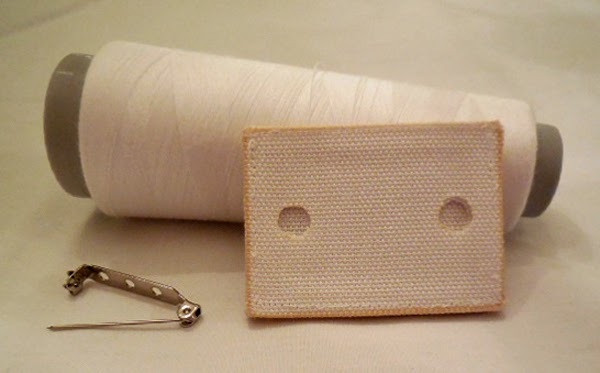 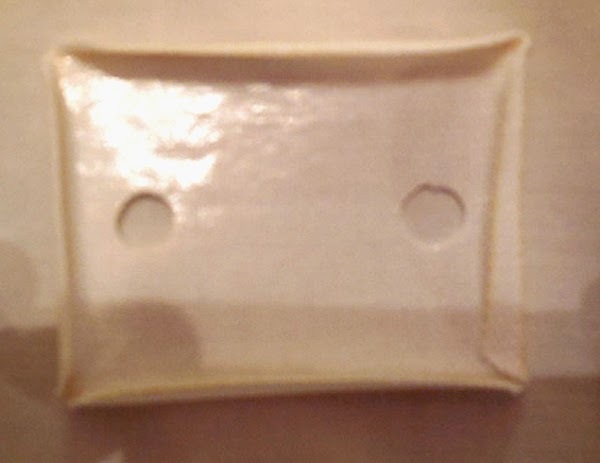 IF you have trouble seeing the lines through the back of the fabric, push straight pins through the 4 outer corners of the 4 panels that are next to each other. On the back side, they will act as guides, when pushed through to the back, so you know where to iron the Thermoweb Heat n Bond. 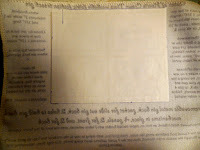 Center the Heat n Bond, paper side up, glue side facing the back of the fabric, and iron from the center out. 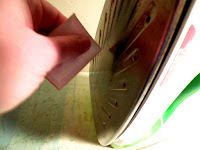 Peel the paper away. 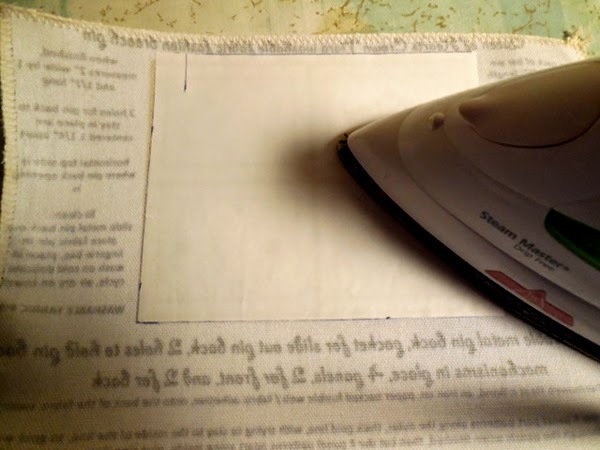 You will use this paper later. 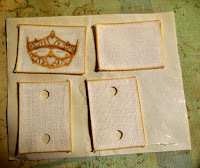 1 - Cut out the 4 fabric brooch panel patterns. 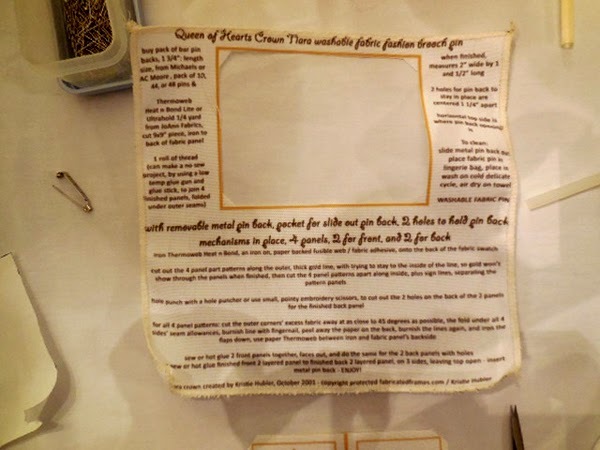 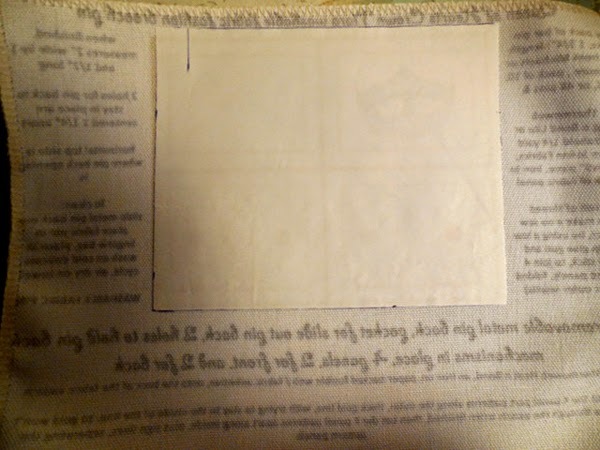 You can conserve the text on the swatch, and just cut out the 4 panels by folding the whole swatch in half vertically, along the inside, thick vertical, gold line separating the panels, and snip in at the top, thick gold line, outlining the 4 panel patterns. 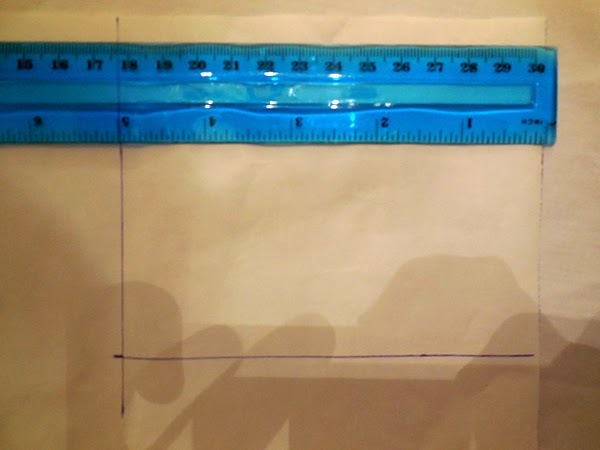 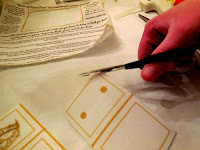 Then go around and cut out the 4 panels, trying to cut close to the gold line, but try not to include the gold line in the finished cut out pattern panels, and do this for all 4 panels, making sure that you ONLY have the inside gold "box" of the 4 panels - that gold box is your guide that is the main panel, with white seam allowances (SAs) around the panel- 1/4" SAs surround the main panels, which are 2" wide by 1 1/2" long, each panel, the overall size of each of the 4 panels is 2 1/2" wide by 2" long INCLUDING SAs. 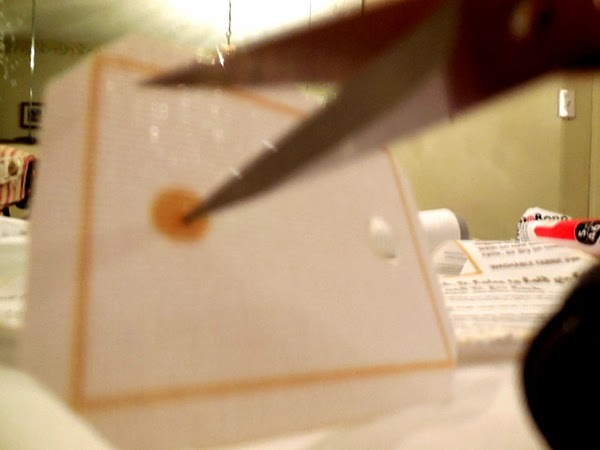 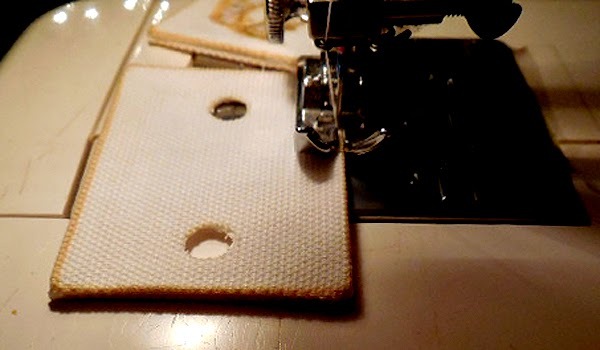 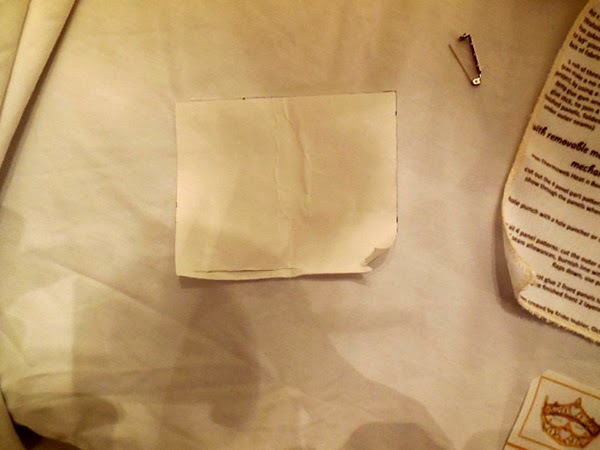 6 - Open your embroidery scissors, and poke a pointy end into the center of a hole on one of the back panels, with 2 circles on it. 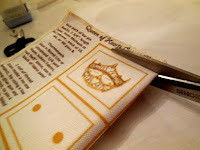 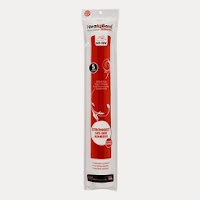 Cut to the outer edge of the circle, cutting around the circle edge, until it is cut out. 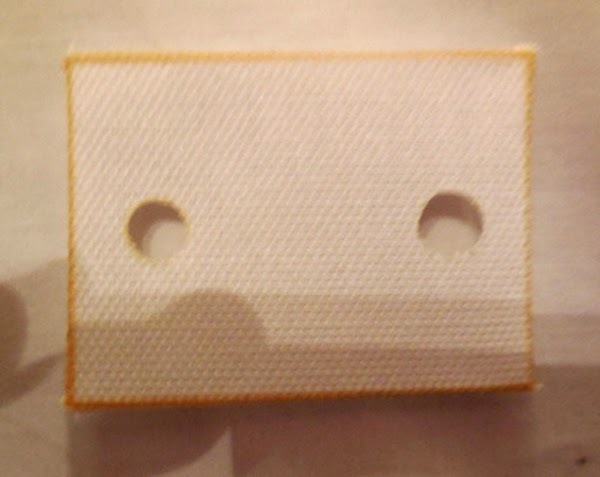 Do this for the other hole, and then do the same for the 2 holes on the other back panel. 7- Iron the 2 front panels, design front and blank back, to each other, align them so that they aren't crooked, both panels print sides will face out, and iron inside the center. Then do this for the 2 back panels. 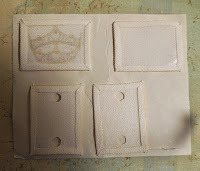 If you chose to glue them, again, glue the outer edges inside both panels, press them closed, then align the top design facing up, on top of the back panel - just make sure the best looking side of the back panel faces out, or in this case, down, under the top crown art panel. Then, just glue the right, bottom, and left sides, leaving an opening on the top, making a pocket for the removable pin back. 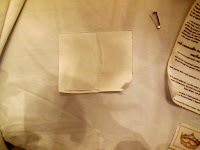 10 - Insert your pin back. 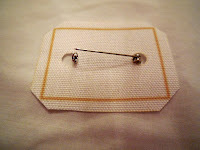 I start with placing the pin back, design side away from me, against my shirt, on the side that I want it, left or right side, and figure which way I want the pin back's turning mechanism to be, on my left or right. 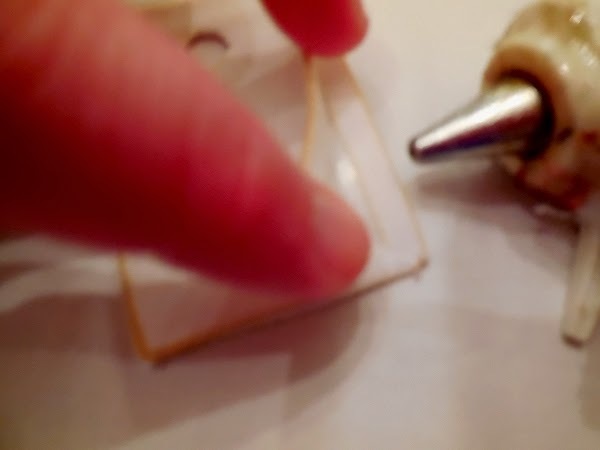 If your right handed (which I am NOT lol), you'll probably put it on your left, so the turning mechanism will probably be to your left. 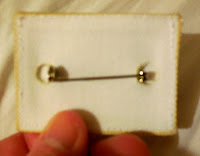 So, put the brooch on the table in front of you, back side up, and insert the pin's pointy flange pin in, so that the long pin goes in the hole that's to the right, and then play with it and push the turning mechanism's side inside, to go in the other hole, and push it all in place, then pin it on! I actually put my brooches on my right side, but I would put the pin back's turning mechanism in so it would point to the left. So, it's a matter of comfort for the person wearing the brooch, and how they decide to wear it. place the fabric brooch in a lingerie bag, and wash in the cold, delicate cycle, with mild detergent, no fabric softener. 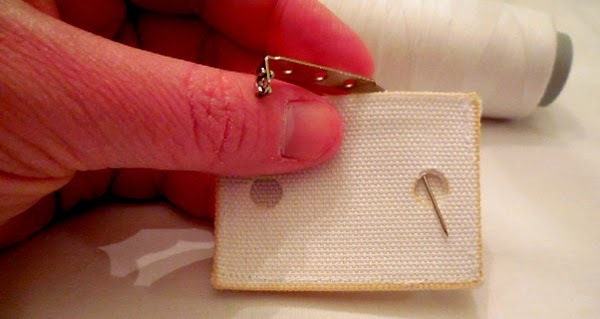 This is the best kind of costume jewelry! 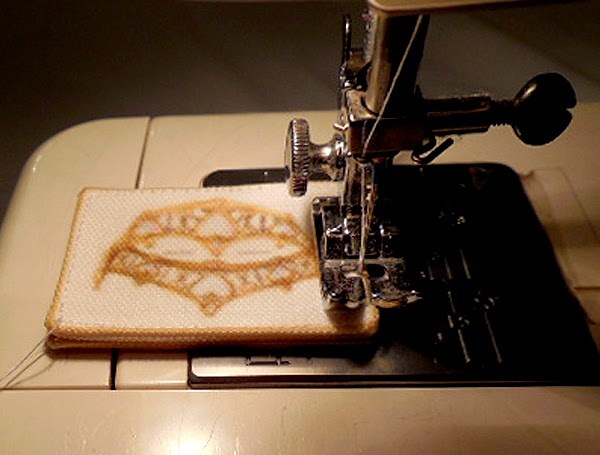 What jewelry can you wash?! And the designs are endless! 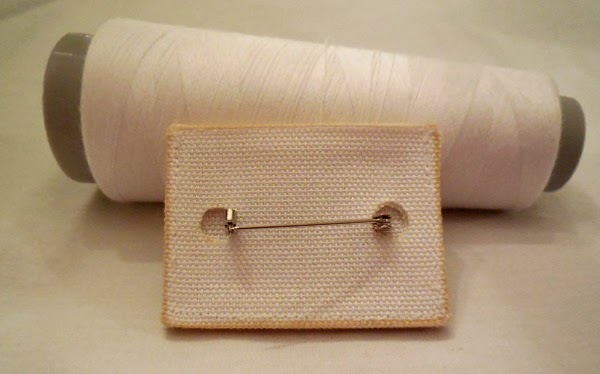 If you want to make your own brooch, like this, with another design, just find a size that is comfortable for you, and make sure that your design is within 1/4" from the edges. 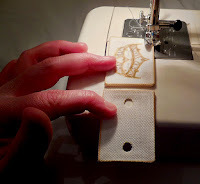 If you decide that you want to sew ribbon roses and leaves, or beads on the front, sew them on from the back of the top front panel, before joining to the other 3 panels, and stay withing 1/4" from the edges, so if you sew the panels together, it will be done easily with your machine. 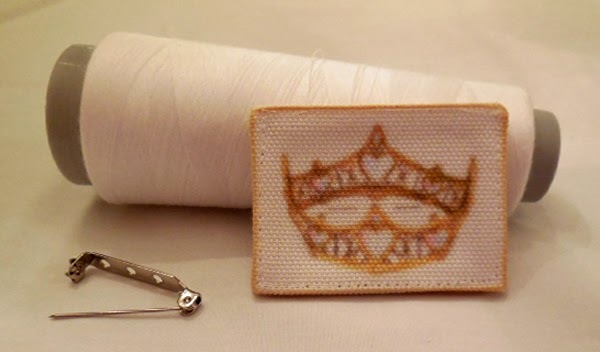 THANK YOU FOR READING AND HAVE FUN MAKING THESE BROOCHES!